The time has come to say goodbye to 2018 and with that means it’s time to celebrate the good things of the past year and those that lie ahead in the next… what better way to do so than with a big glass of sparkling wine, particularly Austrian sekt. 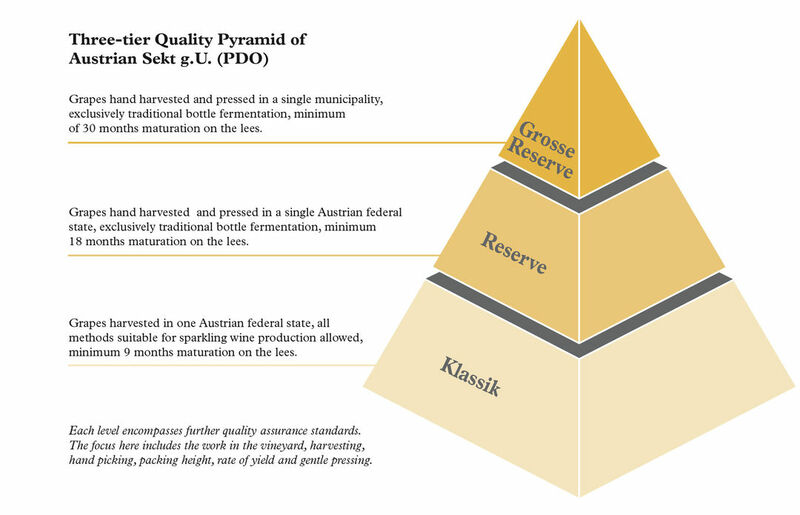 Only recently has Austrian sekt become a regulated product for Austrian wine, but 2018 marked the first year for the Grosse Reserve which means the quality pyramid can finally showcase all of its potential. One of the wonderful things about Austrian sekt is that much like the grapes used don’t forgo any of their character and still remain incredibly versatile making them perfect wines for pairing with foods from the beginning to the end of a meal. Any of Austria’s 40 accepted grape varieties can be used in Austrian sekt production, but the most common are traditional sparkling wine varieties -Pinot Noir, Chardonny, Pinot Blanc – as well as Riesling, Gruener Veltliner and even Sauvignon Blanc.